Instead of £365.00. You save £18.25 due to the online discount . 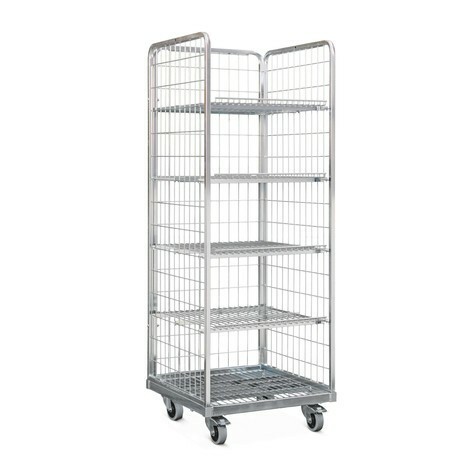 This robust and durable steel roll container enables you to speed up order picking and transport tasks. 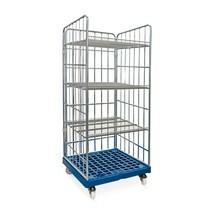 The 3-sided container is also suitable for the transport of bins in the format 600 x 400 mm. 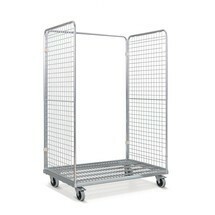 Irrespective of the working area in which you use this roll container, it is the ideal aid for order picking, transporting and storing goods. 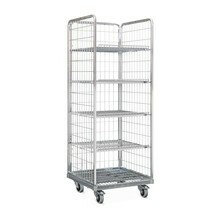 The 3 mesh panels hold the goods being transported securely in place and prevent them from falling out. 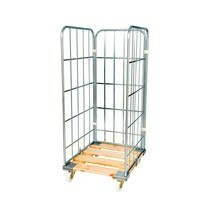 Its dimensions (loading area WxD 420 x 620 mm) also make the container suitable for bins in the format 600 x 400 mm. 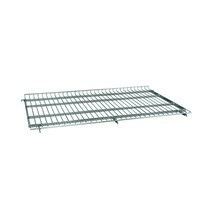 The body is manufactured out of round pipe with a diameter of 22 mm and guarantees a very high degree of stability. Goods with a total weight of up to 500 kg are transported on the steel platform. Elastic was used as the castor material, which is ideal due to its floor-friendly, vibration-damping and quiet running properties. 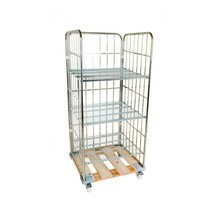 In total, the roll container has 4 steering castors, enabling it to be easily and skilfully manoeuvred. To prevent accidental rolling away at the workstation, 2 steering castors also have a locking function. 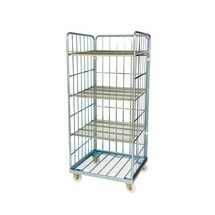 Available as an option are appropriate shelves as well as other accessories for your steel roll container. 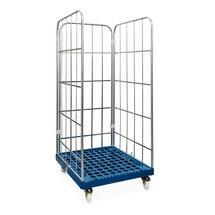 Order a steel roll container in euro dimensions, suitable for bins 600 x 400 mm directly from our shop.